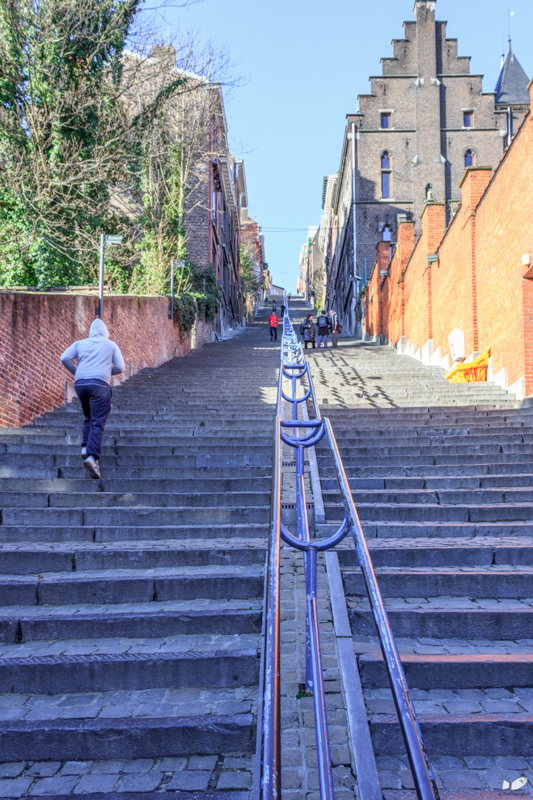 In a small passage way tucked in between the brick walls of centuries old building in the middle of the historic core is a stairway and perhaps another icon of Liege city. 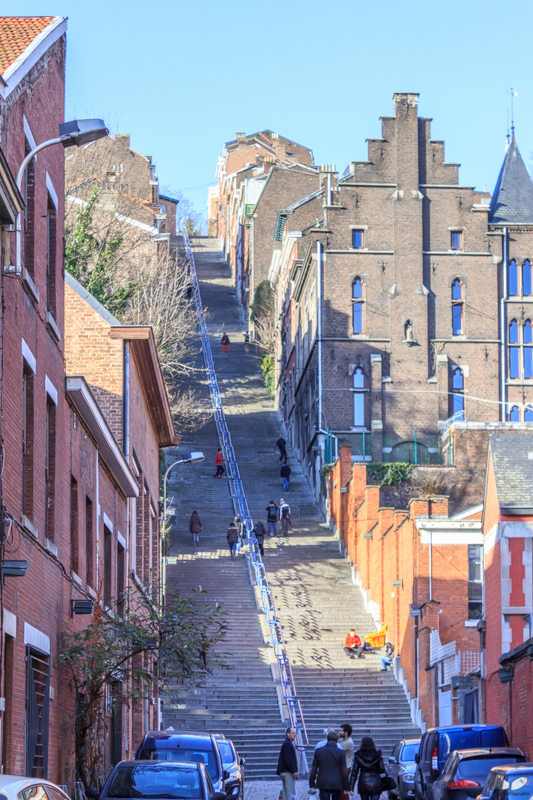 The Montagne de Bueren is the fastest but certainly not the easiest way to go up to the Citadelle de Liege. 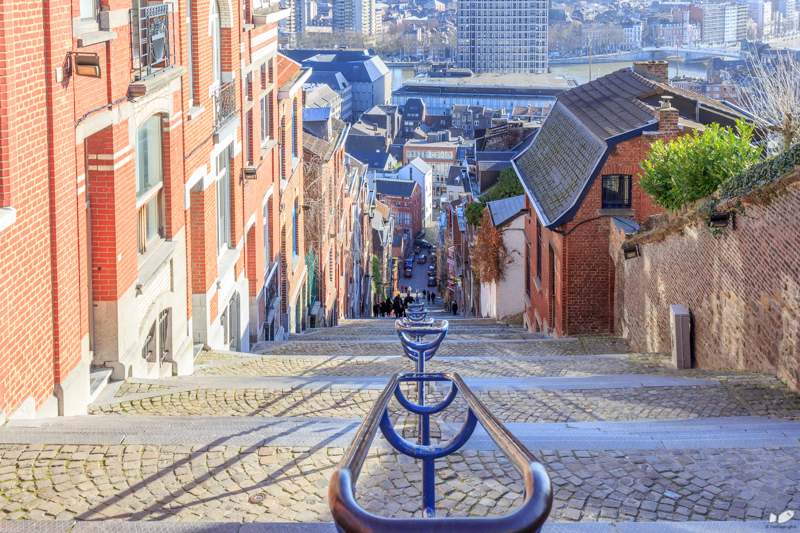 With its name’s literal translation as the “Bueren Mountain”, the Montagne de Bueren is actually a stairway that has a total of 374 steps with a steep slope of almost 30 degrees. The Huffington post (in french) actually listed it one example of extreme stairs in the world. 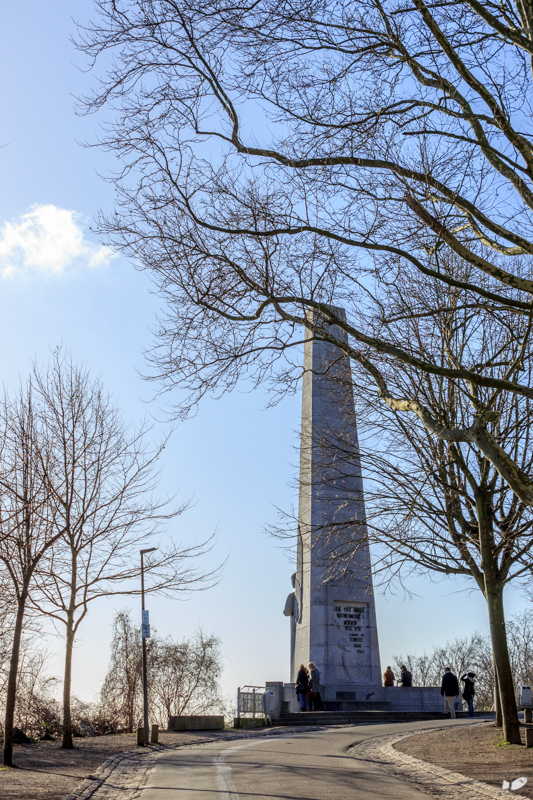 Constructed between 1875-1880, the Montagne de Bueren was built to commemorate the 600 soldiers (600 franchimontois) who lost their lives during the battle of Liege in 1468 and was named after Vincent de Bueren, the commander-in-charge of the insurgence during that time. 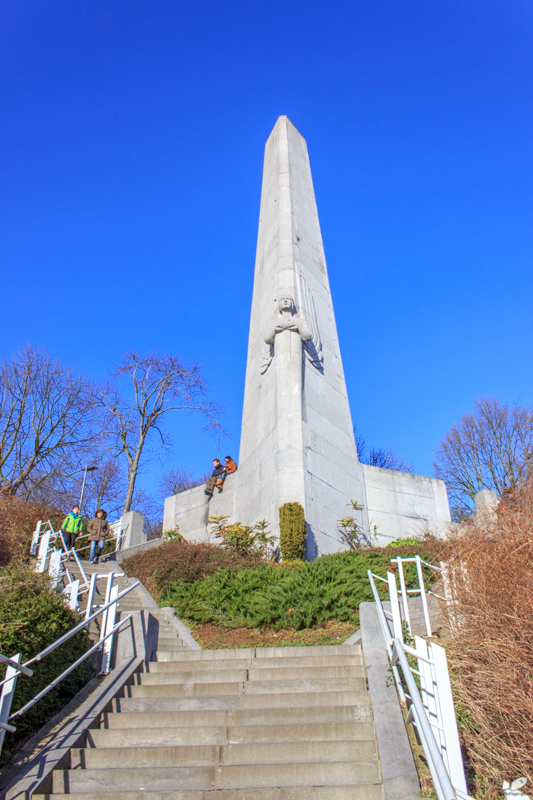 At the very top of the Montagne is a war memorial, and behind it are the ruins of the Citadelle de Liege. 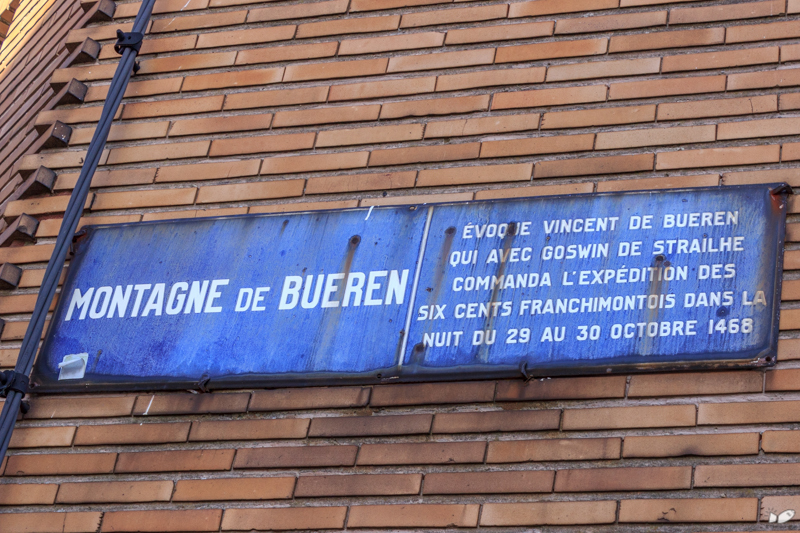 Nowadays, the Montagne de Bueren is a popular tourist spot within the historic core. Special events are also organized at the Montagne de Bueren such as the biennial “Bueren de Fleurs” (The stairs are filled with flowers at the beginning of June) and the “La nocturne des Coteaux de la Citadelle” (more than 3,000 candles will light and illuminate the whole stairs every first week of October). I made it! 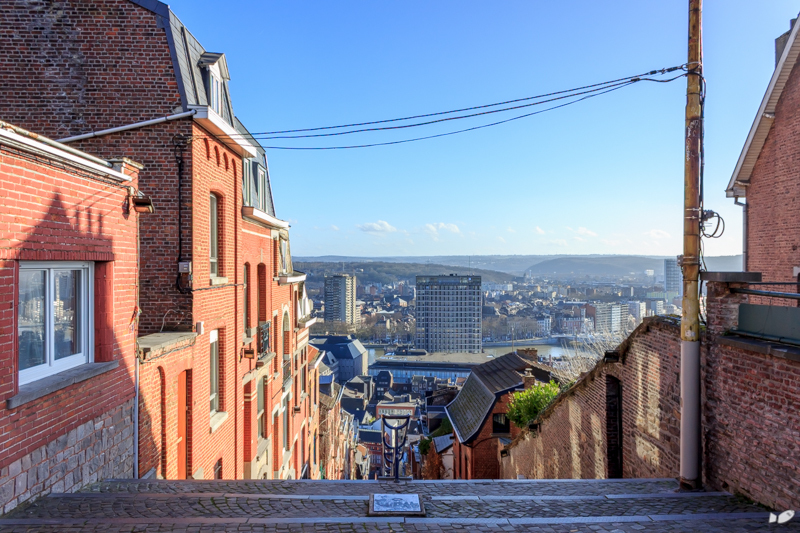 Looking down the steps of the Montagne de Bueren. on top of the stairs. A little further upwards is the war memorial. 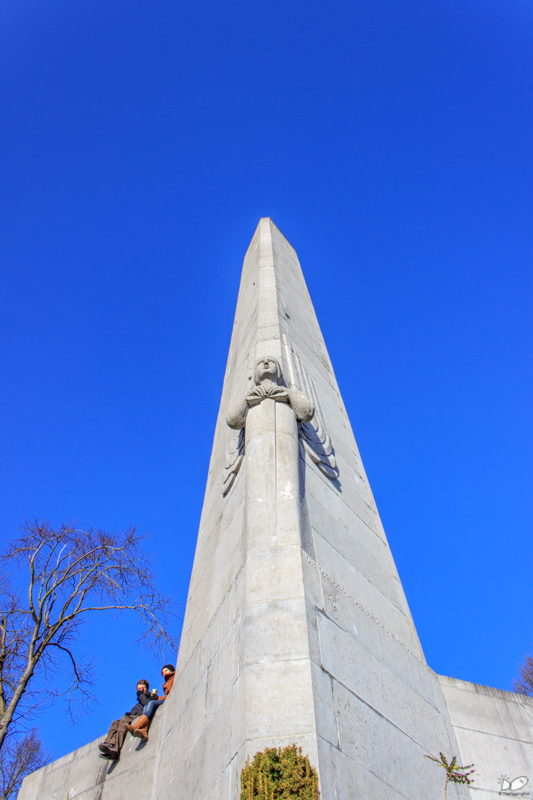 This was built in remembrance of all the lost soldiers during the world war I and II. The citadelle is just behind this monument. Walk further away and you’ll reach the path ways/ roads down towards the Parc Saint-Leonard. Bueren en fleurs est une biennale, tous les deux ans donc, début juin. 20 000 bougies, lors de la Nocturne des Coteaux, c’est sur tout le périmètre de la manifestation; sur les marches de Bueren, c’est actuellement 3 000, il est possible qu’on augmente cette année.